Yesterday was the third anniversary of my dad's death. Fortunately and unfortunately it's getting easier. It seems normal now. But the middle of December can't come around without me thinking about what was happening in 2006. On December 13 (Wednesday), I flew out to Utah. On December 16 (Saturday), he passed away quite peacefully around 3:45pm. Of course, I remember a lot that happened in between too. But, as time passes I don't remember as vividly as I used to. I know that's natural, but it's so strange that something that was so impressed in my mind could begin to fade. I'm glad I wrote a very detailed account of everything in my journal. So, this December 16 I happened to be in the town where he's buried. I drove by the gravesite. It was lucky that I just happened to be up there (and, in fact, the cemetary was exactly on my way). One of the neat things about having my dad pass away right before Christmas is that it makes me think of Christmas, the birth of Jesus, in a more holistic way. I can no longer just think of his birth--I think of his life, death, and resurrection. I Heard the Bells on Christmas Day has always been one of my favorite Christmas songs, but it is extremely poignant to me now. It's beautiful, and really gets what Christmas is all about. we had our first big snowfall of the season. it started saturday night, and it's still going. it's been snowing all day today. it's pretty, and the mountains look great. the two down sides are driving in it and shoveling it. but at least shoveling is good exercise. so it is really is winter now. b is working on a new hootenany. we're going out to tennessee soon--so it seems like the perfect time to add a new hootenany to the roberts family annals. brian is the one who's writing it and developing the tune. so he gets all of the credit. but william and i are helping him by practicing it a lot. and william even inspired the first verse of the song by buying some horses for $2 at a grocery store. i don't want to give too much away, but here's part of the chorus. it's great. 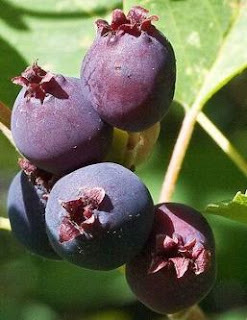 and, btw, so are saskatoons (ie juneberries), especially the virginia variety. a friend made a post recently of things she's thankful for, and i thought that seemed like a good idea. particularly given the season and all. 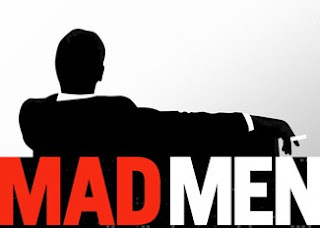 so, in no particular order, here are some things that i'm thankful for on november 23, 2009.
i'm a fan of mad men. it's not a feel-good show, and you can't really like the characters or what they do most of the time, but it's really interesting and well done. the characters might not be people i'd want to hang out with, but they are interesting. i feel like watching this show gives me a glimpse into what it was like to live in the 60s. of course, not everyone lived like these people. but the show shows how smoking was so common, how people didn't wear seat belts, babies weren't in car seats, women drank while they were pregnant, ect, ect. the third season was good. i've enjoyed watching it. now i just have to wait until next august for the fourth season. that's a long wait. well, we are about at the end of our first week with william in our house. things have gone really very well. william is such a cheerful, helpful, smart boy that he makes it easy to love him and have him around. on friday we went out for mexican food, and he had some chicken tacos. b and i had good burritos with spicy salsa. i always love a good burrito and hot salsa. then we went on the gallery stroll in downtown. we came across some interesting paintings and singers/bands. there was also a fun magician and even a used clothing sale. it was a fun evening. and william was a real trooper. he enjoyed it all too. on saturday evening we went over to my aunt and uncle's house for dinner. william met a lot of people and wasn't shy at all. he even walked right up to my uncle and gave him a big hug. it was a good time. i got to see my grandma who i haven't seen for a few years. on sunday, the weather was nice so we drove up into the canyon. we had a good time walking around the woods and on some trails. it was chilly, but surprisingly warm for november. and it's still going to be nice for a few more days. it might snow at the end of the week, but that's ok. mid november seems like a fine time for a little snow. this will be our last blog post before brian and i become parents--foster parents that is. but parents nonetheless if you have a child living with you full time. the goal is that this will turn into an adoption 6-8 months down the road. so, big changes. the boy who is moving in with us, william, is 7 and in the 1st grade. for now i will be driving him over to the current elementary school he's been going to, which is about 2 miles away. but, after a few months or so, we'll transition him over into the elementary school that's just a block or two over (ie he can walk). we have been spending time with william off-and-on since june. so this has been a slow transition, but that has worked out well for us. i, especially, needed time to make sure i could make this work. sometimes things come slowly to me. anyway, after about 8.5 years of marriage, b and i will finally have a little (although not so little) kiddo in the house. so life goes. we can't post pictures of him online, so don't expect to see any pictures of him on our blog. that's a bummer, but it's a reasonable rule (law?) that the state has set up. if you want to see a picture of him, you can email one of us and we'll send you one. we had our first snow down in the valley today. it was such a small amount it didn't create an accumulation, but it was fun to see some snow again. we're supposed to get more tonight and tomorrow. so maybe there will be a little accumulation. only time will tell. today is brian's birthday, which is exciting (i love birthdays). but, unfortunately, he's got a really bad cold. so bad he cancelled his classes today and is currently in a benadryl-induced slumber. the up side is that he didn't have to work on his birthday. the down side is pretty obvious. so i don't know exactly what we'll do today to celebrate, but we're planning on going out for dinner tomorrow. and i have a few birthday tricks up my sleeve. on another note, i love that brian's birthday is in october. i think we're pretty blessed to have been born in two of the best months of the year: october for brian and may for me. every time i step outside now i'm blown away by how gorgeous the trees in the valley and on the mountains are. i don't think i've ever seen the mountains here look better. and to top that off, we found 5 mushrooms (of the edible variety) in our yard. we were worried we might have over-harvested our yard--so you can only imagine how excited we are. and, b just found out that he got one of his articles accepted in a journal. i consider all these things birthday miracles! 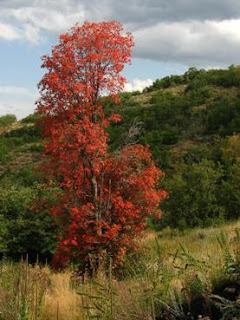 this is to show off the bright red virginia creeper that's climbing up our cedar trees in the back of our house. they look redder in real life. a little blurry, but here's two of our mushrooms. they change so quickly. the blackish one is past its eating prime, but the other is perfectly edible. again this doesn't really do the mountains justice, but this gives you a feel for how they look. i think the wet summer and winter is really bringing out the colors. the mountains are just amazing with fall colors--oranges, yellows, reds. it's so beautiful. 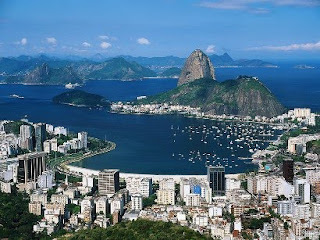 i'm very happy to hear that the 2016 olympics will be in rio de janeiro. it's about time for south america to host the olympics. the us has hosted it so many time (so many times just in my 28-year lifetime). and, finally, i'm glad that having the obamas and oprah lobby for chicago didn't sway the committee's vote. it's fine to lobby for your country/city (and, honestly, it's expected), but a country/city should not win because high-profile people want it to be there. b and i have been watching the new ken burns documentary "national parks: america's best idea" and are really enjoying it. as expected, it's very informative and engaging. below are a few surprising things we've learned or just things we've found interesting. there is a national park called something like general grant national park in california. who knew? crater lake was one of the first national parks. the grand canyon was originally designated a national monument. teddy roosevelt was a good taxidermist. and he was a funny guy. i've always heard he was a character, but some of the funniest parts so far have been when during the roosevelt parts. john muir was a super cool guy. too bad he died in 1914--he would have been such an interesting man to know. 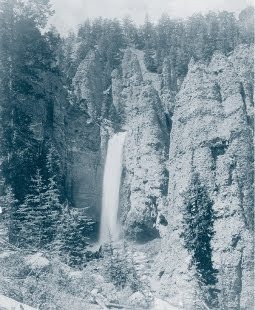 yellowstone was originally known as the "wonderland." there's so much more--but that's all i can think of right now. if you haven't been watching this, i'd strongly recommend it. i think you can watch it for free on pbs.org (to get caught up). or you can just start watching it on pbs this evening. 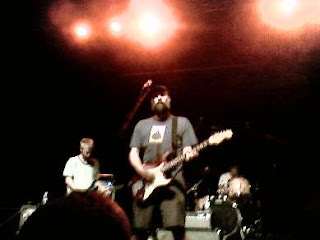 so brian and i went up to the built to spill show last weekend--and it was an interesting time. the opening bands were nothing special. some of their stuff was ok, and one of the bands had a pretty rocking lady drummer, but the sound seemed a bit off (ie the music was too loud and the vocals were too soft). thankfully they fixed the sound system for b2s. it was really exciting when b2s finally came out. doug looked like doug, and that guy with the huge beard still had the huge beard. the first things that surprised me about b2s, or really doug, were that doug's head bobbles in a very strange way when he sings and that doug is not very personable. so, first his head. his head was jerkily bobbling around as soon as he started singing the first song (liar). it seemed like it might be difficult to sing like that, but he pulled it off. as the show progressed, though, his head movements became a little less extreme and jerky. i guess maybe he just has to warm up his head. and second his unpersonability. this surprised me, but i guess maybe it shouldn't have. doug was very into the music, but not so into the crowd (even though i thought we were a good crowd--lots of yelling and clapping). after each song he would give a canned "thanks." brian and i both agreed that if we didn't like b2s so much we probably would have found his performance personae disconcerting, but you can't not like them. the music's too good. to doug's credit, though, i did see him smile a few times, and he did say "thank you" a couple times instead of just his standard, lilting "thanks." after the show ended, i went up to the front and thanked one of the guys for coming to slc and for putting on a great show. he then gave me the play list. how cool is that? all-in-all, it was a great night. i woke up this morning to a cold house. it was at 66 degrees, then it went down to 65, and finally it got down to 64. at that point i turned on the heater. so i guess it is indeed no longer summer. b and i are so excited that the office is finally back on. i listened to a bit on the radio awhile ago, and a tv critic was commenting on how the office went downhill over the past season. i guess i'm just a die-hard fan because i thought it was great. i think of it as pure entertainment, and i'm looking forward to being purely entertained tonight! and anyway, this picture reminds me that i need to go for a run today...and that i should find some way to support rabies prevention education research. brian and i had a good long weekend. below is a quick run-down of the highlights. we made it up to the swiss days festival, which was interesting to go to but not too swissy. it could have had any name/theme and seemed about as swiss as the festival actually was. that was a bit disappointing, but i guess not too surprising. on saturday we decided to go up to the high uintas to do some exploring. while driving/walking around, we spotted three different female mooses. and one, as you can see from the pic below, was pretty close. we also did a little fishing--b caught one fine trout. on sunday we took an afternoon drive up to sundance and then on through the american fork canyon road. it was easy to see why robert redford was so taken by the sundance area. it is really beautiful up there. it's amazing how the mountains can look so different. we see the front of these mountains all the time, but the back side is completely different--so striking. it also seems like we might have found a good place to go leaf-viewing once the trees start changing. on monday we got up early and went back up the high uintas to do a 7-mile'ish roundtrip hike to a couple mountain-top lakes. we did some great fishing (i caught the fattest fish i've ever caught); found thimbleberries, raspberries, and blueberries along the trail/by the lakes; and had a nice, relaxing time up there. we caught several trout and cooked them up at a firepit close to the lake. then did some more fishing and brought those fish down with us. the hiking part was a bit rough (it's a really tiring hike), but we're feeling better today. below shows some of the highlights. this is a pic of a pika that poked its head out of the rocks a few times while i was sitting by the side of the lake. it was only about 3 feet away from me. isn't it cute? this is a view of the upper lake. this shows me with the fat fish i caught. b is holding it beside my head as i'm taking the picture, which is why it's a bit wonky. this is the proud picture of brian with the big trout he caught in a tiny pool at the upper lake. 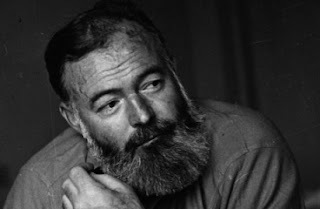 i'm taking an english class this semester on hemingway with an emphasis on his works put into film. so i'll be reading several novels, short stories, ect and then watching film adaptations of those. i'm auditing the class, which means i get to do what i want/show up when i want with no deleterious repercussions(ie a bad grade). but i think it will be fun and interesting--so i plan on staying on top of the reading and attending the class as much as possible. 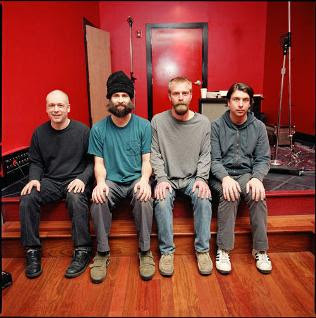 we just bought tickets to see our favorite band, built to spill, play in slc. this is a very, very good day in the roberts home. and we only have to wait til the 19th. and they're coming out with a new album on october 6! last night b and i went up to a mountain overlook of the valley and watched the sunset. on the drive down, we happened to see two wild turkeys up on the hillside! i always love a wild turkey siting (it's fun to hear them too, but we were too far away this time). 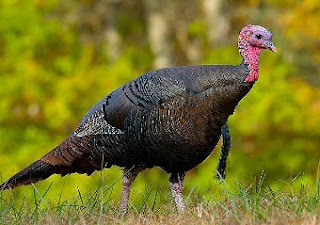 how fun would it be to go turkey hunting, hm? i had a friend in virginia who would go out turkey hunting with a bow. can you imagine how cool it would be to get one with an arrow and then bring it home to eat for thanksgiving or christmas. ah, a fantasy of mine...living off the turkey fat of the land. 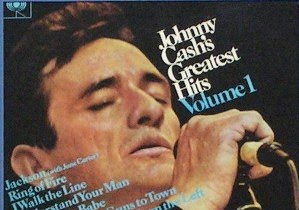 i was just reminded today of how much i love (love, love, love) johnny cash's version of heart of gold. i was flipping through my itunes library and came across it. it's a song that i could listen to over and over again. and actually i usually do when i have it queued up. i love how gravelly his voice is in it. it just seems to match the sense of longing found in the words. if you haven't listened to it for awhile, find it on youtube or something. if you've never listened to it...all i can say is that you're in for a treat. b's parents came in town last week, and we had a good time with them. we went on several hikes, there was lots of good fishing, we had some good food, and--of course-- there were some good chats. below is a quick recap of our week. on wednesday we went up to the high uintas on a 9-mile hike. it was a difficult hike (we were all very tired and sore afterwards), but it was really beautiful up there. it was exciting to finally get up there too, and to discover that it really isn't that far away from us. we hiked up to an alpine lake and spent several hours there. b, roland, and i did some fishing there and caught our limit--24 trout (can you imagine). that was basically a dream-come-true for brian and roland. we cooked up some of the fish in a fire we made. and then, since i forgot silverware, we ate the fish with our bare hands (unfortunately there are no pictures of that--our hands were way too grimy at the time). we hiked up about 2500 feet to the lake and then back down again. we got rained on some on the last little bit, and that felt good. me with the biggest fish i caught up there. one of the bag fulls of trout. yum! b sitting by the fire as the fish were cooking. a view of the lake that was so good to us. then later in the week we went to a more local park. b and roland caught a few fish. we had a nice picnic up there and went on a little hike. me and whitney by the cool, cool river. on saturday we drove up to logan, and roland took us around to each of the houses he lived in while growing up there. one is no longer there, but the other two were, and we actually got tours of those homes. he also took us around to some of the schools he attended and other key sites. we drove up into logan canyon and went on a nice little hike. of course, it was beautiful again. there really isn't an ugly canyon here. we made it up to a limestone cavern overlooking the canyon. we all agree that the family looks pretty dog-gone cool in this picture. we found a spring along the trail, and b and roland stopped to get a drink. at the caverns, b climbed up a rock wall to get to a high-up ledge. whitney in a limestone crevice. roland casually sitting outside logan high school whilst the lhs grizzly bear is looming in the background. roland next to the pigeon coop at his second home in logan. the family that bought the house back in 1964 still live there. so i went to oregon for the weekend to see my friends, my hometown, and go to my 10-year hs reunion. i got to portland thursday evening and then drove down with my two good hs friends courtney and laurel. it was fun driving down--especially once we got off i-5. i forgot how beautiful it is around the loon lake area. then, of course, it got foggy/cloudy when we got to winchester (ie we got within about 30 minutes of north bend). that was how it always was--so i was glad that hadn't changed. we were staying at laurel's mom's house, which has a great view of the bay (and i took advantage of that many times). we got there friday afternoon and met up with some other friends (liz and her mark and jessica) and we all piled into jessica's car and i got to see the house i grew up in. i have to admit that i was unpleasantly surprised. the house (and neighborhood for that matter) looked shabby and not in great repair. they had also cut down most of the trees around the house. you could also see that they must park a truck in the front yard (ie there were tire tracks). the only good thing i could see was they had extended out the backyard by cutting back the blackberry bushes that were always so unruly. but even that's sad since who doesn't want to have blackberries just out your back door? here are the pictures of my house. many might not care about these...but i know at least my family will. you'll see here all of the trees that were cut down. from memory, i'm guessing that they cut down at least 7 trees. i just can't imagine why you'd want to cut them down. ironically, the two trees they decided not to cut down were these two shore pines that are now enormous. personally, i don't think they look very good. this shows how windy and cold it is. it's easy to forget that it can honestly be so cool somewhere during the summer. so friday night we had a delicious quiche that laurel's mom, kate, cooked for us. she's such a great cook! and then we went to a reunion opening social at a bar in town. walking into the bar was the only time i was nervous during all of the reunion craziness. it was all very sudden and weird to see people. but i got over that pretty quickly. it was a bit weird at times, but overall i had a good time. the funniest thing, to me, was that a number of people said they didn't/hadn't recognized me. but i guess glasses and short red hair may do that. this is our group prior to the bar outing. saturday we went out to a bbq and then to my favorite beach. it was cloudy, foggy, cool, windy--basically just the way you'd expect it to be and want it to be. me and my friends courtney and laurel at sunset beach. i got my feet in the water, and (on accident) got my pants wet too when a little sneaker wave got me. this is the little river that flows into the ocean. when b was here with me before we got married, he was shocked at how freezing the water was. after getting used to the cold mountain rivers here in utah, it didn't feel so cold...although still way to cold to do much than just look at it. that night we went to the "main event" at the local casino. and it really was a lot of fun. next door to our room was the neighboring town's 1999 hs reunion event going on. they had hired a dj--so when the dividers were removed between the two 99 reunion events, me and my friends went over and danced to their dj's tunes (but only when they were good. there really was no reason to dance to the two john cougar mellancamp songs he played.) and then we their dj was done we played several songs from courtney's ipod. and when that happened, we actually got quite a few of the nb'ers out on the dance floor dancing. it was great. i haven't danced like that in a long time. after the casino thing ended, we went over to a new dance club in coos bay. it was not very impressive and the music (other than mj's billie jean) wasn't good, but it was fun to dance a bit more. then we went to a local diner that stays open 24 hours (perhaps the only that does now). it was a fun night, but i didn't get to bed until about 5am--sunday am that is. so it was a very short morning since i had decided to attend the first hour of church so i could see my old ward and some people. church started at 9--so i got 3 hours of rest (note i didn't say sleep). it was good to go see the church building and some people. the ward has changed a lot, and i didn't recognize a lot of people, but it was interesting. on sunday, court, laurel and i drove back up to portland. then on monday laurel and i went to a crazy goodwill where you buy clothes by the pound. we got a huge bag full of stuff for only $14. then we met up with court at an indonesian place in the city. with the last of my oregon time, court and i hung out at powell's. it was too hot to try to do anything outside. so, all-in-all it was a great time. there were some weird moments, but i expected that (especially given that i was attending a hs reunion). it was good to see nearly everybody. i reconnected with people i knew well and people i didn't know too well back in the day. north bend was still very much the same in many ways, but there were definite changes as well. the biggest change, for me, was my house. i want to go back there when i have more time, and i want to take brian with me so that he can get more familiar with the area and people. hopefully it won't take 7.5 years before that happens! so, after nearly 7.5 years, i'm finally going back to oregon. the last time i went back home i was in college and on break for the slc olympic games. it was february, and (as you'd probably guess), it was cool and rainy. i've missed oregon a lot over the past years. i'm glad that my parents left since north bend would have been a difficult place for them to retire in, but it's still sad that no one is still there to make me go back for visits. but it's the big day! the picture above is an iconic picture of the southern oregon coast where i'm from. isn't it beautiful. i can't wait to see the beach, the trees (yes, fir trees! ), see how my town has changed, see my friends, see my old house, go to church at the old chapel (well not the really old chapel, but the one that i went to during most of my childhood), seeing my hs, ect...the only sad part is that the world's best doughnut place closed down a few years ago. they had the best maple bars. ever. i'll post some pics when i get back! yea! 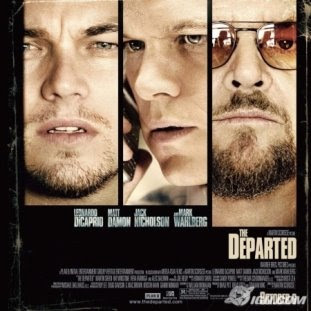 b and i watched this scorcese movie that came out a few years ago. it was really intense with a great story and strong characters. i've been thinking about it a lot today. if you find it on tv sometime, i'd recommend it as long as you don't mind intensity, violence, death, blood, weirdly dubbed over swear words, ect. and btw it has some great boston accents. last night everything i said seemed to come out in a badly-rendered boston accent. last week brian and i were going out to get thai food, but noticed there was a new mexican place next door to the thai place we had been planning on frequenting. we wandered in just to see what they had and, after trying a free sample of their coconut horchata (which, btw, was better than you would even expect it to be), decided to give their burritos a try. and, oh, they were good. really good. and if you know me, you know i love a good burrito. after living in charlottesville, i thought they weren't difficult to come by. but then we moved to provo, and i realized that that was just not true. 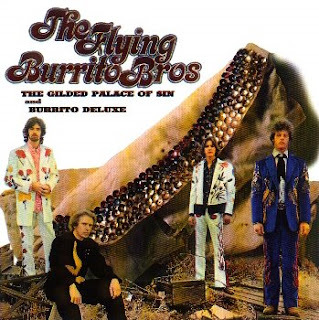 but, now there is a great burrito place here in town. it makes me feel better to know that they're here--just a 5-minute drive away. it makes utah feel more like home. i had last friday off so b and i decided to get out of town and do some serious birding. we got up early and drove up to the bear river migratory bird refuge. although it's summer (and not peak migration time) we saw a total of 38 different kinds of birds (out of about 62 summer residents). and 21 of those 38 were new birds! below is the list of new ones. an american avocet feigning an injury--probably to keep us away from the nest. this one was my favorite: the black-crowned night heron. when i first saw it through my binoculars, i was blown away. it's red eyes are intense. the ruddy duck was fun. we both had this in our top three favorite birds of the day. it's blue beak is cool. after we were done birding, we went into logan. we had a good time there doing sundry things including going to the dairy and getting root beer- and mango-flavored milk, cheese curds, and creamed raspberry honey. that was quite a lunch. we also went to logan zoo and saw b's grandparents house. it's quite different than it used to be. we finished our logan-time by going up into the canyon. we found a beautiful spot that we'll have to go back to to do some swimming/bbq'ing. on saturday, the 4th, we went on a hike/fishing trip up in a nearby canyon. and b caught 7 fish although we only brought 2 home. and 1 of them was a cutthroat...if you can imagine. here's b with his proud, proud cutthroat.